On December 16, key figure of Japan’s ideological conservative right Abe Shinzo was elected as Japan’s new Prime Minister. Elected on a nationalist platform, Abe won a landslide victory of the Liberal Democratic Party in the lower house of Parliament. During his first tenure as Prime Minister in 2006-2007, Abe ardently pushed for the revision of war-renouncing Article 9 of Japan’s Constitution in the name of building a “strong Japan.” His track record includes overseeing the creation of the Ministry of Defense, advocating for the re-interpretation of Article 9 to expend the mandates of Self-Defense Forces’ missions and allow collective action. Back in power, Abe is determined to push his agenda forward. Last April, before Abe returned to power, the LDP drafted a new constitution, with the changes it would like to see adopted as part of its broader agenda "to reclaim Japanese sovereignty" by getting rid of the current constitution, which, according to Abe, fails “to provide a necessary condition for an independent nation”. In the climate of fear and uncertainty concerning current levels of radioactive contamination in Fukushima Prefecture and their potential impact on public health, new government reports are indicating that these problems will remain serious ones for years. Below are recent reports from Asahi and Jiji concerning the extent of contamination in Fukushima and the likely medium and long-term prognosis. Several areas of Fukushima will have high radiation levels for at least a decade and it will be 5 years or more before residents of the municipalities closest to Fukushia Daiichi will be able to consider returning to their homes. The Japanese government is deliberating buying the area around Fukushima Daiichi, including residential properties, and making it public land. The government’s Reconstruction Agency is also investigating whether or not evacuees are interested in returning at all. At this stage, serious decontamination efforts in the most effected zones have yet to begin. Bereft of decontamination work, residents will be unable to return home for at least five years in seven municipalities around the crippled Fukushima No. 1 nuclear plant, according to the government’s radiation projection charts. Für den 7. April 2012 war vereinbart, dass die hier wiedergegebene Erklärung der "Korea-Japan Peace Action to Stop the Establishment of Jeju Naval Base" in Gangyeong auf Chejudo veröffentlicht wird. Den japanischen Mitgliedern wurde am 6. April die Einreise verwehrt, sie wurden deportiert. Daraufhin wurde die Erklärung sowohl auf Chejudo als auch in Japan in getrennten Pressekonferenzen veröffentlicht. Die Erklärung folgt, zuerst in Englisch, danach in Koreanisch und Japanisch. Tensions comparable to an under-siege and daily confrontations rise in Gangjeong Village where Jeju Naval Base is under construction. Even rudimentary protection of human rights and common sense became something hard to find. There is every reason why the current situation came to remind us of what happened on Jeju Island during the April 3rd Massacre of 1948. There were numerous cases of human rights violation and deprivation in Okinawa during the US military occupation. When there was the US military administration in South Korea, the April 4th Massacre on Jeju Island took place. There were killings everywhere from Torabora to Helmand during the US military government in Afghanistan. A Faluza attack was operated during the US military occupation of Iraq. The US military administration field manual was first made in the occupied Italy and North Africa in the 1940s, completed in Okinawa, recycled in South Korea to be maintained until today. It is inevitable that large-scale killings are repeated before a general election to set up a pro-US government wherever the US militarily governs, since the process is from the US military administration manual. The historical wounds that Okinawa and Jeju Island have stem from the same perpetrator. Depleted uranium munition was used in the Gulf War in 1990. There was a shooting accident where DU munition was used in Okinawa in 1995. There was an accidental bombing where DU was used in Yeoncheon in 1997. There was another DU-used accidental shooting in a US warship in Hawaii in 1998. And it turned out that in the US bases in Suwon, Cheongju, Osan in South Korea, and in Kadena Air Base in Okinawa, is being stored over 3 million DU bombs, the amount of which outnumbers three times that used in Iraq. US nuclear Tomahawk missiles aboard submarines use Jinhae in Korea as their port of call through Hawaii and the White Beach Naval Facility in Okinawa. It is obvious that those US ships would also be called to Jeju naval base once its construction is finished. All around the globe, the US bases are fraught with sexual assaults against civilians, cases of noise damage, and oil and other environmental contamination. The ongoing wounds in a state of constant aggravation in Okinawa and Jeju Island also have the same perpetrator. 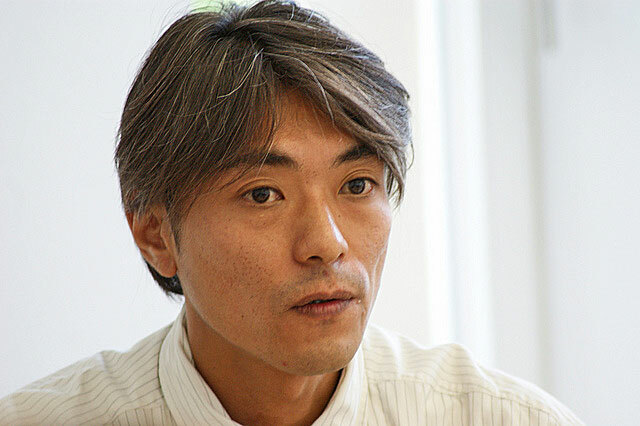 Composer IWATA Wataru poses many difficult questions regarding the long-term health risks faced by the victims of the Fukushima nuclear meltdown. He presents a compelling call to action framed in terms of what he calls an "auto-evacuation". In contrast to the state's directive to evacuate specific areas, the nature of auto-evacuation is that "people themselves decide to evacuate the affected zone." On March 13 2011, two days after the Tohoku Earthquake, tsunami and nuclear disaster at Fukushima, the composer Iwata Wataru left his studio in the suburbs of Tokyo to take refuge in Kyoto. He was acutely aware, as the entire population now is, that an unprecedented catastrophe – even larger than Chernobyl – had occurred. After sleepless nights, Iwata, who never engaged in activism before, either humanitarian or political, decided to go to Fukushima prefecture on March 20, propelled by a zeal even he cannot fully explain. "The situation in Japan looks more and more like that in wartime: television, print and Internet outlets are being called upon to impose a voluntary gag order on themselves." "Project 47″ observers go to farms, schools and homes with radiometers and Geiger counters to measure radiation levels and publish them on their association website. They want to create the basis for what they call "auto-evacuation": a system whereby people can autonomously decide to evacuate those affected zones in which the state does not oblige them to evacuate.